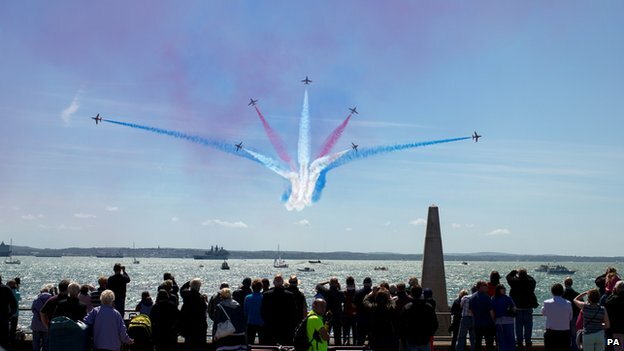 This past week we have read a lot about the commemoration of the 70th anniversary of D-Day. The coverage on the BBC is well worth visiting. On June 6, 1944, Allied troops began the invasion of continental Europe on the beaches of Normandy. 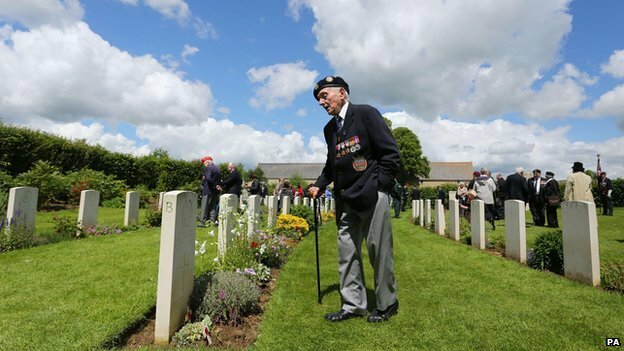 British veteran at a British cemetery. 6 years before D-Day, Joan wrote about the prospect of war and the fate of so many boys she knew. Here is her diary entry from when she was only 15 years old.
. . . The United States (mine), England and France—the three great democracies as the paper glaringly puts it—sent a note to Japan last week demanding that she cut down on her navies—and yesterday the note came back with an answer—“Go to it—let’s have a naval race”—or to the point. And then Thursday night they had a program on the radio discussing the next war in confident tones. Somehow everything seems to point to 1940 as the turning point—as the time when the climax is reached. Everyone seems sure that there will be a war soon. I was talking to a boy in school Friday about war and death. He seemed sure that there’d be another war (another, oh!) and he said he’d probably be killed in it. All the boys I know will be old enough to die in a war in 1940. When I said, “And afterwards—?”, he said, “Well, if there’s anything to see—afterwards—I’ll see it, and if not, well, I won’t know about it.” Which is, after all, the only thing to say. But think 1940—death—war—oh, why must it be? The boys she knew did enter the war. Some returned. Operation Overlord, now known as D-Day. But many boys didn’t come back, caught up in battles in the Atlantic, the Pacific, on islands, on the European and North African continents. Joan wrote a poem when she 18, before the U.S. was even officially at war. She imagines the death of someone she knew. The anguish is as fresh now as it was then. With one of the friends you always seemed to find. You never took anything seriously. And always smiling with the world, or laughing at it. I don’t know; I never thought you’d die. You were the kind to take so much the easy way. And suddenly I realize more than history in war. I know this one is real.